We will be open for outdoor wood furniture and picnic tables April 1, 2019. 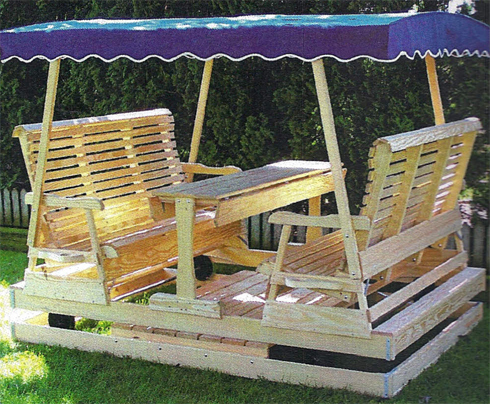 At Sussex County Strawberry Farm we sell a wide variety of outdoor furniture. 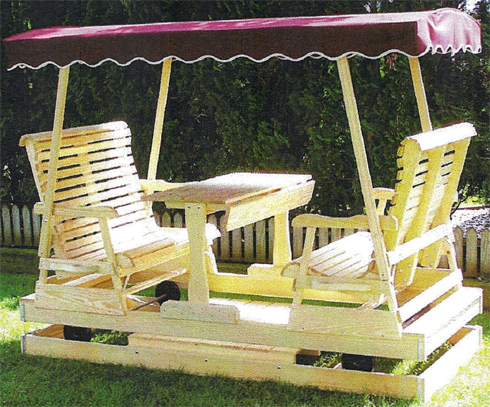 Everything from picnic tables to all types of chairs and decorative pieces. All of our furniture is hand crafted and made of the finest pressure treated wood. The Keystone Gliders is a unique swing. It is sturdily built and yet very easy to assemble. This Glider rolls on wheels, providing a smooth relaxing ride. It's a great place to relax.